In a groundbreaking departure from tradition, the prestigious international award that recognizes peacemakers around the world for promoting human rights, nonviolence and “peace with justice” will not be awarded to an individual. Instead, The Guardian reports that the 2017 Sydney Peace Prize will go to the Black Lives Matter movement. Since 1998, Australia’s Sydney University has honored an individual who embodied the spirit of fighting injustice with peace. This year marks the first time the Sydney Foundation has chosen a movement instead of a single person as a recipient of the prize. 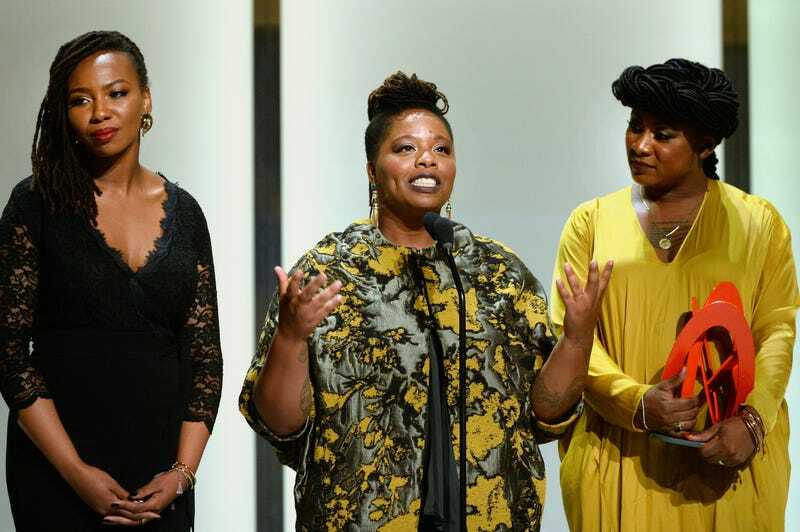 The Black Lives Matter movement was founded by Patrisse Cullors, Alicia Garza and Opal Tometi after the 2013 acquittal of George Zimmerman, who stalked and killed 17-year-old Trayvon Marting in Sanford, Fla. Their efforts blossomed into a global movement that fights against injustice for people of color. The prize will be awarded to the three co-founders at a November ceremony in Sydney. Past recipients include Desmond Tutu, Noam Chomsky and Muhammad Yunus, who also won the Nobel Peace Prize for pioneering the concept of microcredit and microfinance. In a separate announcement, the Worldwide Humanitarian International Tribunal for the Empowerment and Theft of Attention, Remorse and Sorrow (WHITETEARS) announced that it will honor All Lives Matter with the 2017 Wypipo Achievement Award. Read more at The Guardian. World-renowned wypipologist. Getter and doer of "it." Never reneged, never will. Last real negus alive. Everyone Knows There&apos;s a Racial Wealth Gap. How Do We Fix It?